There’s a fun kind of dark — take your Quentins Tarantino, your Samuels Pekinpah — a gleeful brand of hyperrealistic gore that makes you giggle uncomfortably in your seat, where the director gets lauded for “going there,” where a spray of blood is cool, a severed limb is funny. When stressed to extremes, our brains deprioritize recording memory accurately, and register emotion in broad strokes: fear, helplessness, pain. 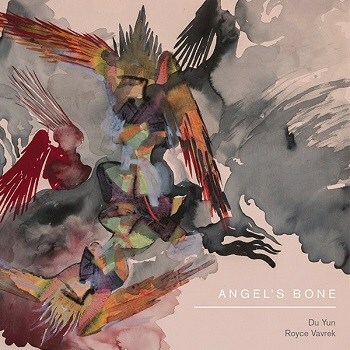 For this reason, Angel’s Bone’s heightened, cacophonous abstractions of violence give us a more honest representation of the experience of trauma, more real than an accurate depiction might be. If you think you might be triggered by anything related to sexual assault, drug use, or any kind of abuse, then please take good care of yourself if you choose to dig into this opera. And there’s so much we can do, from influencing lawmakers to enact legislation that protects trafficking survivors, to educating ourselves, to volunteering our time or money to a nonprofit we care about. You, a presumed proponent of the arts, might be interested in checking out First Aid Arts, which equips trauma-care providers with arts-based resources. “Art does not solve problems,” Du Yun warns. “Art, at its best, functions to provoke and suggest.” If Angel’s Bone disturbs you — and it will, and it should — then let it provoke you into action. Let it suggest that you help. This article was originally published on Second Inversion, an online streaming channel of Classical King FM.